Fashion Black leather belt with Silver belt buckle by Sheng Electric Technology Co., Ltd at Mas Fashion. Hurry! Limited time offer. Offer valid only while supplies last. 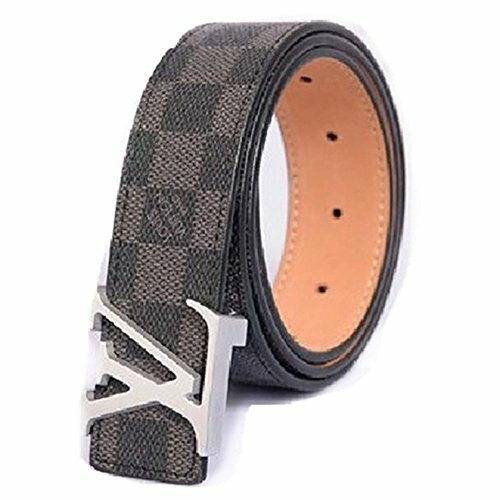 Belt Materials: artificial leather and alloy buckles.Width:1.5"
Please measure your waist circumference and choose the right leather belt size befor you take the order. Suitable for waist : 30"≤Waist≤32"、33"≤waist≤34"、35"≤waist≤37"、38"≤waist≤40"、40"≤waist≤42"
When you get the belt and find that the size of holes has a little small or bigger ,don't worry ,you can add the holes by yourself ,i will offer the simple punch for buyers. If you have any questions about this product by Sheng Electric Technology Co., Ltd, contact us by completing and submitting the form below. If you are looking for a specif part number, please include it with your message.